Social media sites and the corporate world have had a rocky relationship from the get-go. Be it hijacked hashtags or inconsiderate word play, many companies have truly botched their social campaigns grasping for the marketing holy grail of “going viral”. This Friday at digifi.it we’re going to pour extra salt in the wound by repeating some of the worst social media branding fails of all time. Remember back in 2013, when Tesco was found to have been selling horsemeat disguised as beef? (And vegetarians the world over started making jokes about being on their “high-horse”!) Well this otherwise seemingly innocuous tweet was delivered from the horse’s mouth in the midst of this scandal — perhaps not the best choice of words? Since this (and other) social media fiascos endured by the brand, McDonald’s have taken the initiative to set up an Instagram account for their mascot Ronald McDonald. This indicates the brand is learning from its errors — Instagram has a much more receptive community, with much more control over consumer engagement. Ronald has also clearly taken some solid advice in terms of what content to post, as the brand has made a habit of posting more frivolous content on the instagram account – which is a lot easier to swallow than their previous, more overtly promotional posts. It’s always a risk for a large brand to take to Twitter for marketing purposes (aside from paid-for promotional content on the sites) and the only successful campaigns on the platform are those that are truly “social”, and spread a positive message aside from their brand’s. This advert by Coca-Cola went viral across all social networks on its release, and from that fuzzy feeling in your stomach, it’s not hard to see why. Blaming their 90s-kid social media manager for being born too late, American Apparel have removed and apologised for posting this stylised photo of the Challenger space shuttle exploding on 4th of July last year alongside imaginative hashtags #smoke #clouds. “Ethnic Clothing & Accessories” store Global Village Duluth celebrated Martin Luther King day in Minnesota by promoting a “25% off everything black” sale on their Facebook page. LG mocks Apple’s “bendgate” — from an iPhone! The Official LG Twitter account for France tweeted regarding their “flex” phones “our smartphones don’t bend, they’re naturally curved”, following reports of the iPhone 6 Plus having an issue with a weak point in the chassis which caused bending. Unfortunately for LG, it looks as though their employees still prefer the iPhone, as the tweet was sent from Apple’s twitter app. 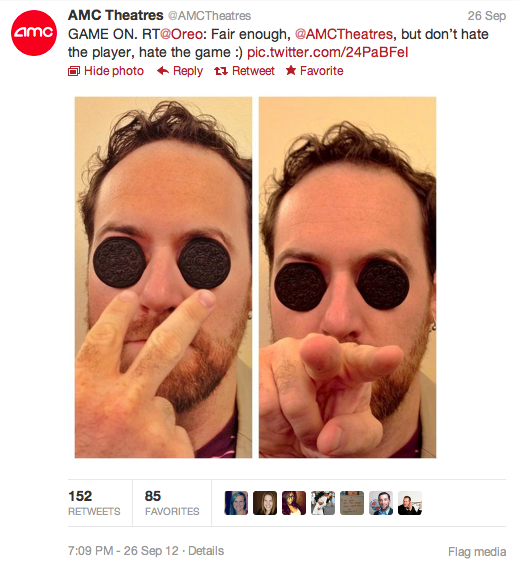 This gaffe highlights one point of social media marketing that everyone should learn – keep it classy people! Inter-brand fighting looks good for no-one, see here for a more positive inter-brand social media interaction. Let us know if your favourite social media fail hasn’t made the cut at @digifi_it, or in the comments section!